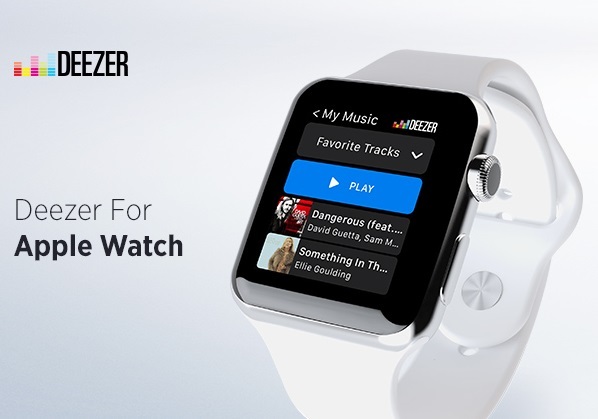 Your music library can now be synced with the Apple Watch using the My Music feature in the Deezer app. Deezer flagship feature Flow - intuitively knows exactly what you want to hear and is ideal for music on the go. Flow - Your own personal DJ that knows exactly what you want to hear, utilising the best of man and machine to play all your favourite hits. Player - Take control and "love" your favourite track or skip to play what you want every time. Mixes - Let your mood dictate what you want to hear with mixes for every occasion. Charts - Always stay ahead of what’s trending with Top Tracks, Top Albums, Top Playlists, and Top Artists. My Music - Sync your watch with your iPhone and hear your entire saved music library including favourite tracks, albums, playlists, artists and podcasts. Force Touch - Press firmly on the display to see your queue list, hit repeat, and play in shuffle mode.